Cherish the Journey and enjoy Provincetown from a unique angle, the water! Sail to Long Point, the site of the original Provincetown settlement. Be dinghied ashore (full or half day sails only) and leave your footprints on the beautiful sandy beaches. While you're there you may picnic or just take in the birds and sun. On the mooring, instead of heading to shore, enjoy a great swim off the back of the boat. It is an easy climb back aboard up the aft ladder. 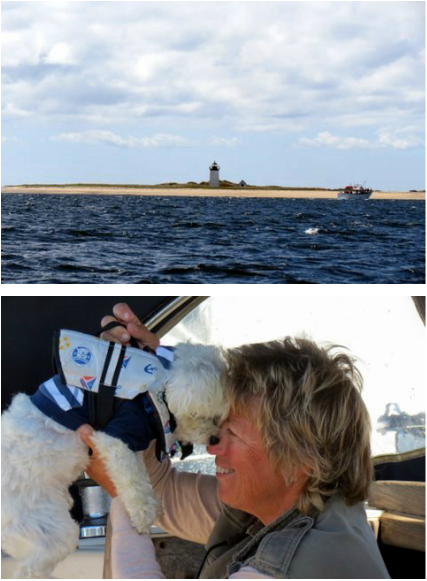 Sea dogs of all shapes and sizes are more than welcome! They don't even have to know how to swim. The Moondance II crew has you covered with some available doggie life vests for tiny to large sized dogs. A perfect gift, or employee party, before and after season. Rev up the team spirit! 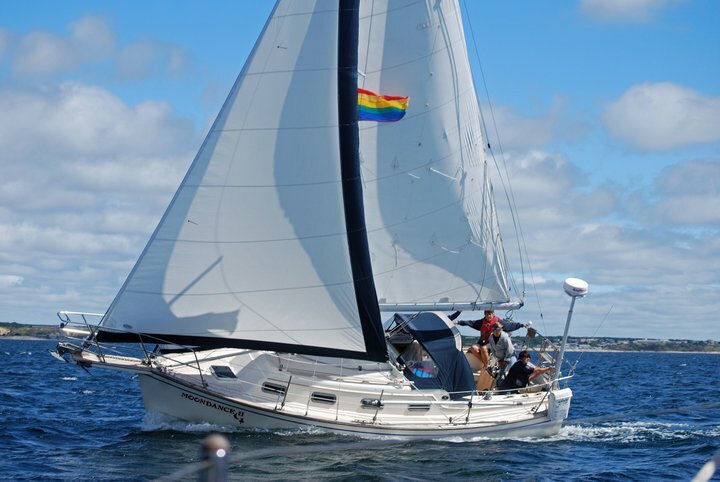 A sail with us is an incredible way to experience Cape Cod Bay and Truro in a way most landlubbers won't. This will be a journey you'll want to repeat. You'll remember, while watching the whales and dolphins the quiet ecologically friendly way, Cape Cod is a place that's easy to fall in love with.